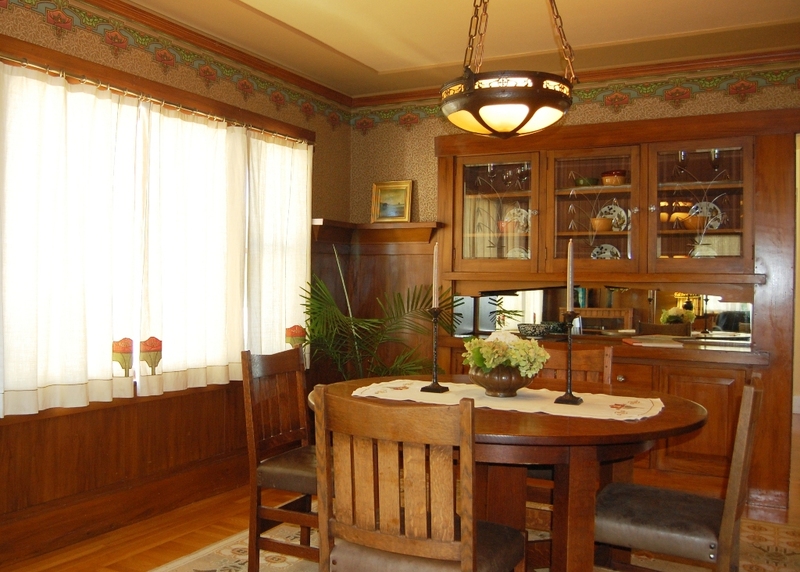 This home is a gem of Arts & Crafts period details, enhanced by some of the finest artisans in the area: Bradbury & Bradbury wallpaper designs by Paul Duchscherer, window coverings by Dianne Ayres, leaded glass windows by Ted Ellison and a hand-hammered copper sconce by Michael Adams. 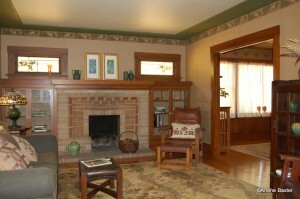 There is also a whimsical bear mural by Sylvia Pillsbury. 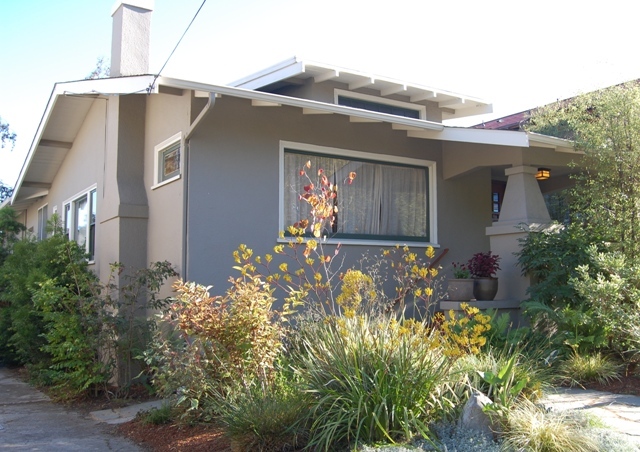 Located on a truly special street in the Rockridge neighborhood of Oakland, CA., my clients have made friends and developed a real community on this block. While the street is tree-lined and quiet, it is just a block from destination restaurants, great shops and BART. This three bedroom, two bathroom bungalow has an updated kitchen, newly updated bath and many careful upgrades. A special treat is the studio/office with skylight and ceiling fan, and beautiful custom hardwood barn doors. Professionally landscaped, the garden with lighting highlights, patio and deck provide ideal spaces for entertaining. I will be there both Sundays Sept. 19th and 26th from 1:30 – 4 pm and would be delighted to welcome you to this special home. If you visit on the 26th be aware that the Rockridge Out and About street fair will be taking place on College Avenue, and the street will be closed. You’ll need to enter from Broadway.